I cannot attest to whether David Frum and his supporters are sane, but conservative they are not. NTTAWWT, but this is the Conservative Political Action Conference. Five percent is 5% too much! Perhaps not coincidentally, I did spot Eleanor Clift lurking in the shadows earlier today. Those 5% were from Frum's camp. Maybe "insane clown posse" would fit well. Even better, RK! Wish I was attending CPAC too, next year we'll hit it up! What the hell is their motto anyway? We don't want to stop the train to fiscal hell, we just want to slow it down some??? BTW, I am extremely disappointed in Heritage dropping out over some gay people showing up. Frum? Maybe his group got a bit tipsy and wandered into the CPAC group? Apparently, they're Republicans of the Scozzafava variety. 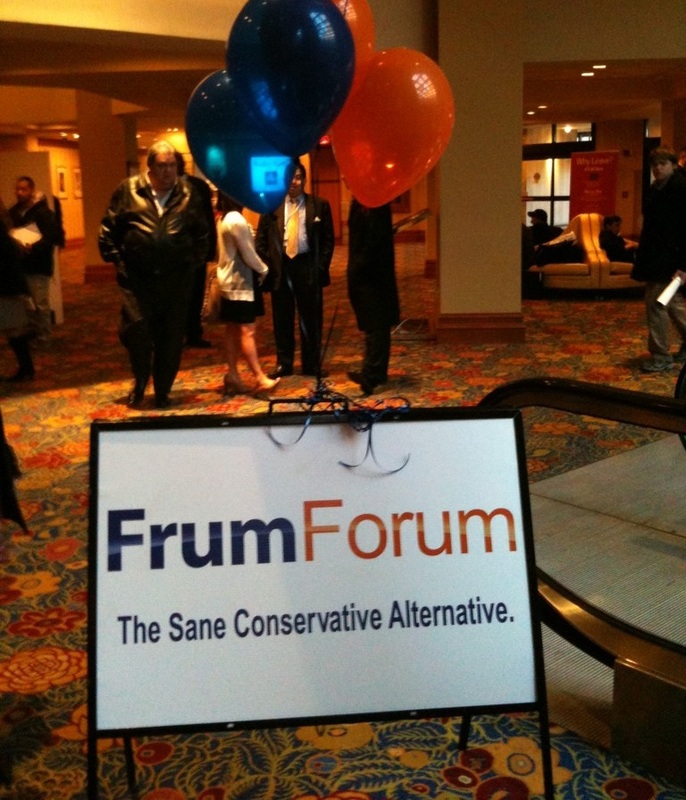 Maybe they should get together with Frum and start their own conference.